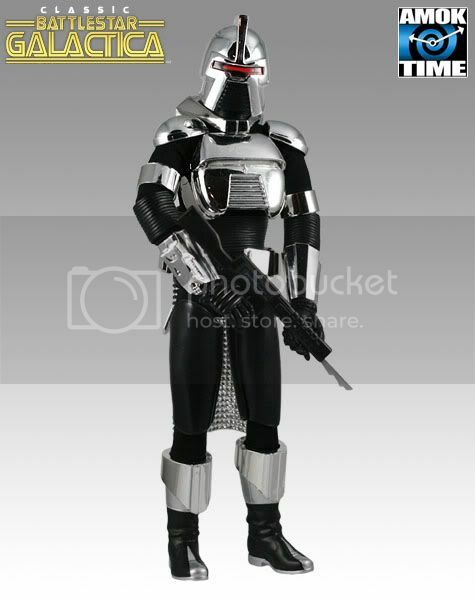 Being an owner of all five of the Majestic 12" Battlestar figures, I am wondering whatever happened to the Amok Time 12" figures once they took over the line? Both Amok Time and Sideshow Toys were taking pre-orders (the figures on Sideshow's website are marked as no longer available and sold out) two years ago for the Athena, Boomer, Lucifer, etc. figures, but now they aren't listed anywhere on the Amok Time site, and no mention of pre-orders being fulfilled, etc. What gives? Anyone have any information? Re: What Happened to the Amok Time Figures? I'm assuming they were cancelled. Nothing every happened with my preorders. Ne3ver got charged for them, nor heard anythign about it. Happens all the time. They probably didn't get enough pre-orders to justify the production run at the price point they wanted to target. As a follow-up, I sent an email of inquiry to Amok Time on June 16 (last month). So far, I have received no reply. Amok Time as in Star Trek? I had the Gold Centurion, and I gave it away in a BSG writing contest for the Battlestar Galactica Club. That was the only one I have ever seen released. As you can see they were to be released per licencor approval. That may have been turned down, so they canceled it. Starbuck, Apollo, Adama abd both Cylons (gold and silver) were released. 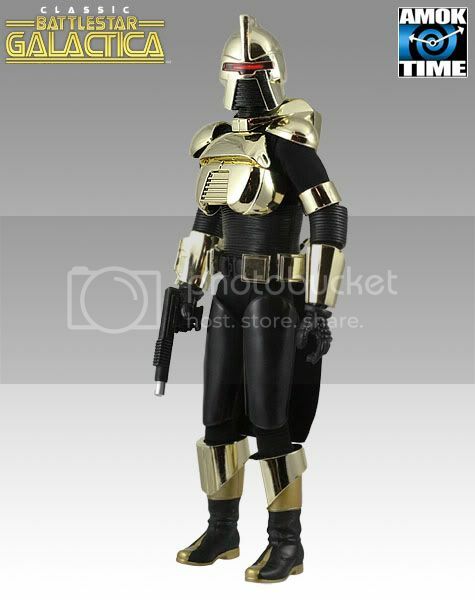 I have all but the Gold Cylon in my collection. also the Dual pack of white uniforms was a SDCC exclusive. You will find it on ebay for about $200 from time to time. Yeah, I have the Apollo, Starbuck, Adama and the gold cylon...I also preordered the Athena and never heard anything about it afterwards...too bad. Athena seems to have had a bit of...augmentation, doesn't she? Wow, they all look awesome. Like what they did with Adama and what they were going to do with Cain and Tye. I believe the only one I currently have is Apollo. 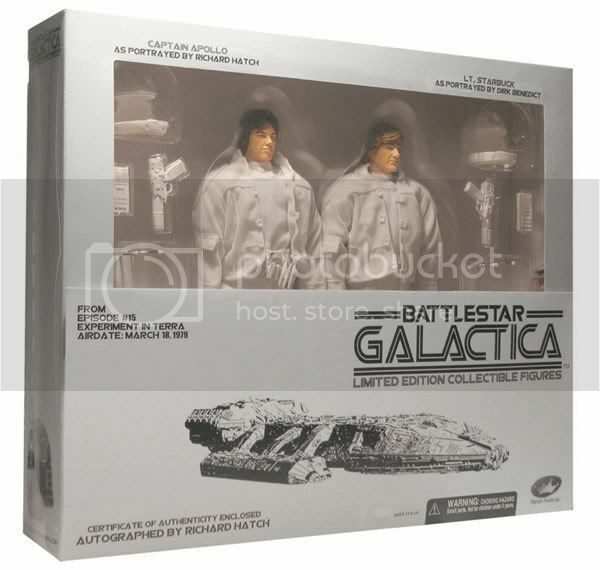 They currently have some classic BSG stuff mixed in with the new. 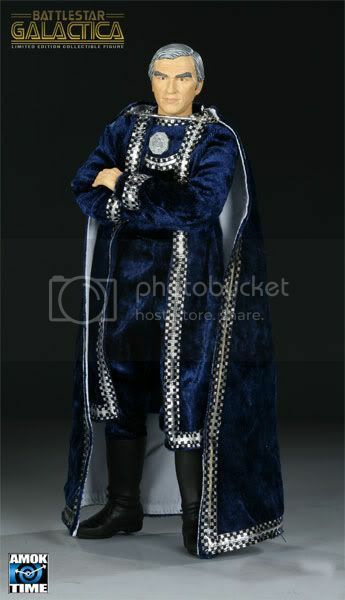 But it appears they have SOME of the 12 inch figures. On another note, I used to have that Viper launch station when I was a kid! 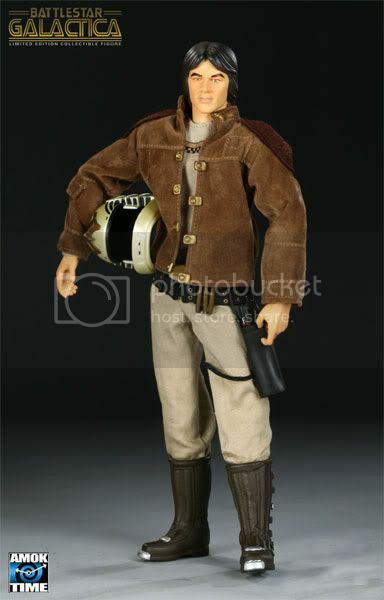 I remember gettting it for Christmas, I guess must have been 1978...Unfortunately, I have lost it. However, I still have in my possession one of the foam vipers that came with it! 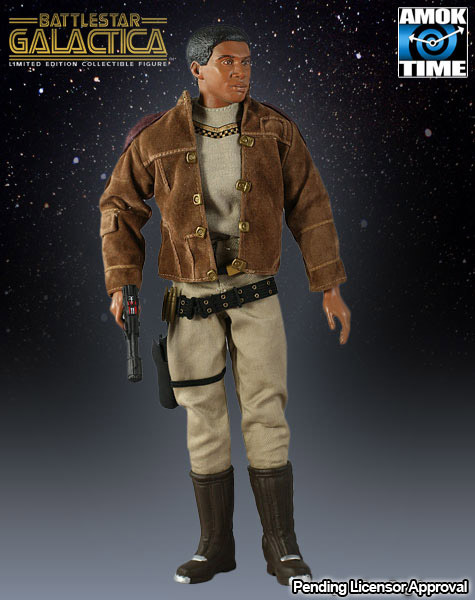 I'm sure we all know about hte Majestic/Amok Time Figures that were available briefly. Some of us have been able to grab up the Gold and Silver Cylons, Starbuck, Apollo and Adama. But it seems the Extension of that line is dead and burried. 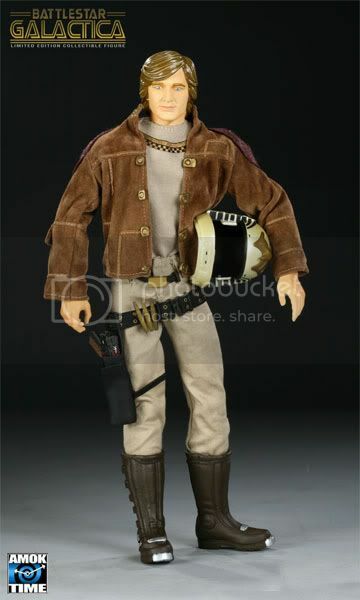 The first Figure, Boomer, has the preproduction samples being sold off on the Amok Time site. But if there is still interest, I ran into this thread on the Sideshow Forums. Basically, custom sculpts of Starbuck and apollo are now ready for ordering and shipping with more (possibly all) characters following. These heads will be followed by more accuate Costumes and Equipment.